The online marketplace that lets its customers buy items from Amazon with bitcoin today started looking an awful lot like Etsy, the website that puts a wide range of vendors directly in touch with buyers. Backed by some of the biggest names in bitcoin, Purse’s launch of Purse Merchants, lets anyone sell almost anything in exchange for bitcoin. Almost. The man in charge of helping recruit this new crop of vendors says the new business model is about more than just a new way for people to make money, it’s a way to grow the number people actually spending bitcoin in an organic way. As of today, independent vendors can sell almost anything they want on the market. To make money on this new service, Purse charges a 1% fee to the vendor for each sale. There are no fees to list an item, and the customer’s funds are held in escrow until the purchase arrives. For some perspective, Etsy’s charges 3.5% for every sale, eBay charges 4% to 9% and Amazon charges between 6% and 45%, based on the type of item or service being acquired. 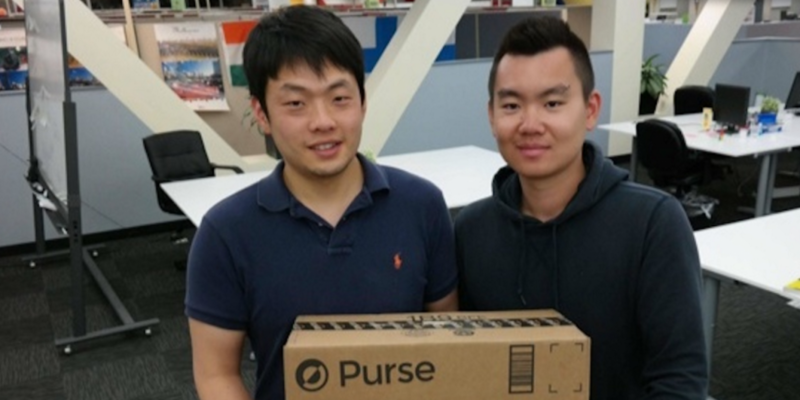 As told in Michael J Casey and Paul Vigna’s book, “The Age of Cryptocurrency,” San Francisco-based Purse got its start in 2014 when its two founders, Andrew Lee and Kent Liu realized they could take advantage of arbitrage on Amazon gift cards by using them to buy items on the e-commerce market in exchange for bitcoin. Amazon gift cards are used to buy items requested by Purse customers, who pay in bitcoin. Purse makes its money by charging fees to the buyer and on the arbitrage from business cards they buy from third-party gift card exchanges. The startup that was a member of Plug and Play’s first class to include bitcoin companies, and last month claimed to have processes $1m in monthly transactions. Unlike the Amazon model, which frequently resulted in goods being purchased at a discount, there’s no guarantee that the lower fees charged to vendors will be passed onto customers. Like the shops of Etsy, Purse’s vendors get to pick their own price. But Purse investor, Terrence Yang, of Yang Ventures, believes the vendor will likely end up choosing to pass on that savings as a way to differentiate his or her products. When Purse’s founders first stared making plans to open their business model to other vendor they took a lesson from other bitcoin market places like PayIvy that let customers sell pretty much anything. The market ended up being a gray market where hacked credentials to Hulu, Netflix and more could be purchased for $1, and was acquired in May 2015 for $260,000 in cash and stock. “Purse Merchants is going to be a curated marketplace,” said Hunt. Purse Merchants has been in beta for the past several months, with five companies testing out the Service, including airmattress startup Windcatcher, of Shark Tank fame, hardware bitcoin wallets Trezor and Ledger, and KangerTech which makes vaporizers to help quit smoking. Based in San Francisco, Purse has raise $1.3m from Digital Currency Group, venture capitalist Roger Ver and Bobby Lee, CEO of BTC China, among others. Disclaimer: CoinDesk is a subsidiary of Digital Currency Group, which has an ownership stake in Purse.